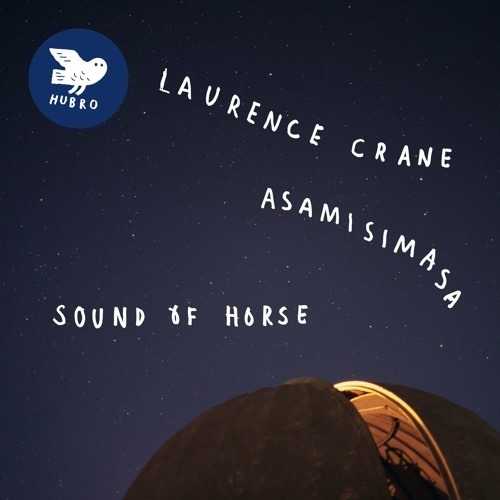 Gathering pieces composed over the span of some thirteen years, Sound of Horse provides an insight into the compositional methodology of Laurence Crane, with each of the pieces performed by the shifting lineups of the Norwegian Asamimasa ensemble. It begins with ‘John White in Berlin’ (2003), a long, low, ominous rumbling drone-based composition for electric guitar, cello, percussion and piano. The piano is sparse and way off in the distance. The strains of guitar feedback scrape at the senses in contrast to the low, almost subsonic rippling bass hum: it builds tension, but eventually this plateaus. There’s a daring fragility to the composition, but there’s little by way of movement or progression and little to really get a grip on. ‘Riis’ (1996), for clarinet, cello and electric organ manifests first as a cloud of ambience, from which elongated organ notes pipe a slow, majestic sound, a sort of semi-ambient church muzak. It’s an imposing work, as much by virtue of the instrumentation as the composition, although Crane does cast an immersive atmosphere. The three ‘Events’ pieces for voice, three clarinets and a vibraphone move further into the realms of the spiritual, the wordless vocals are hushed, reverent, brushed with a celestial hue radiating upwards as they entwine with the sparse, soft-edged instrumentation. It’s the sound of a dark corner, illuminated by flickering candlelight. These pieces may be short, but they’re quietly powerful, moving. The title track consists of seven parts spanning a full twenty minutes. It sounds nothing like any horse. With clarinet, bass clarinet, acoustic and electric guitar, as well as percussion and cello, the pieces offer a greater range of texture and tone than the other pieces, and at times offer more conventional melodic passages. Chords are strummed in slow repetition while the wind instruments make minor chord progressions underscoring an atmosphere of brooding melancholy and, in places, trepidatious uncertainty. Choppy electric guitars and thumping drums on the fourth section mark the biggest divergence from the overall form of not just the suite, but the album as a whole, and hint almost toward an assimilation of the elements of rock music, albeit in its most deconstructed and experimental form. Precisely how to summarise what this album ‘does’ is immensely challenging, and equally, it’s not particularly clear what its purpose is to convey. It isn’t that the compositions lack finesse, but they do, all too often, lack focus. While Sound of Horse is a collection, there seems to be little connection, stylistically, between the pieces, giving it something of a scrapbook feel. But what to make of it? I dunno. Maybe it needs time. Maybe it need different ears. Maybe I need a different headspace. But at the time of writing, I’ve got little more than a shrug.